A fabulous trend going from coast-to-coast is hanging flowers. 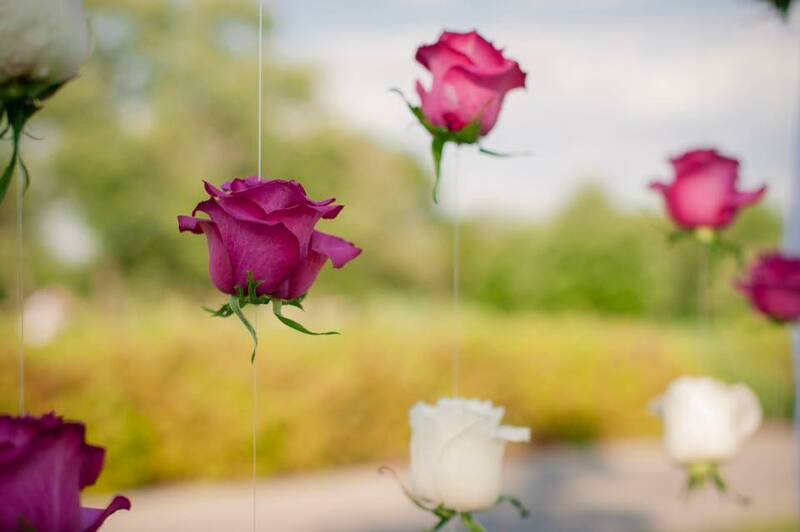 From the ceremony to the reception, these hanging blooms, are making a statement. One of the trends is called the upside-down garden. It’s where you take hundreds of flowers, and hang them from the ceiling, making a sea of of flowers, transforming your ceremony or dance floor into a lush garden above them. Almost like your floating above the ground. Another flora trend is flower chandeliers. Imagine gorgeous blooms, overflowing and draping down off of a chandeliers, or circle hoops over your heads, or dance floor. They are sure to set the mood, to your nuptials and will have your guests staring in awe! Inverted Centerpieces. Does your venue have tall ceilings? A great idea is to have inverted centerpieces, which where you suspend your table center pieces above your guest, drawing their eyes upward. These look great with long tables, and can really take your wedding to the next level! Curtain of flowers. Have a curtain of flowers draped as your backdrop for your ceremony looks stunning. You can even have it as your back drop of your sweetheart table. 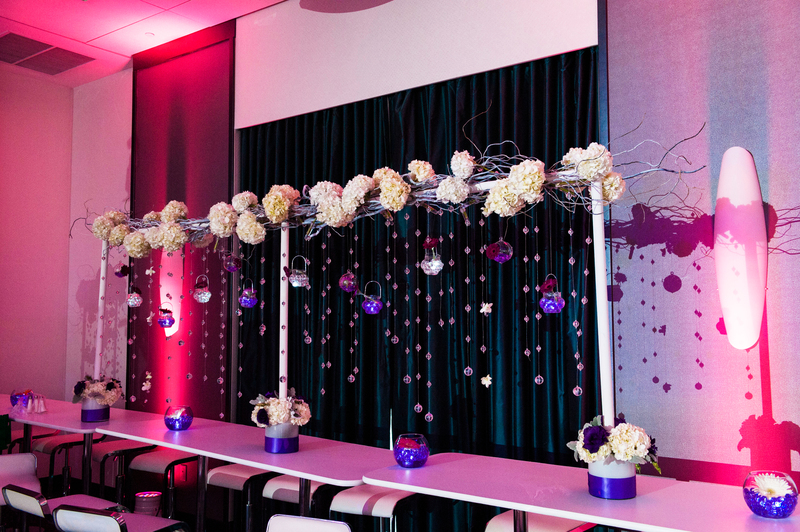 Flowers draping from top to bottom, add a bit of modern flair. A great idea is to have them monochromatic, and start lighter at the top, and grow dark, as it goes to the bottom. Another idea is to hang them in picture frames. They will look like framed works of art. Hanging glass globes look very modern, and look absolutely amazing. You can have them as your backdrop of your ceremony, or suspend them across guest tables. In each globe your can put a single flower for bright glam look, or add more lush greens and succulent for a more of a garden look. What a wonderful experience it is to design your furniture using your own hands. This is all possible to do using the DIY ideas of pallet furniture wherein you can reshape the wooden pallet and turn them into useful furniture in your home. Designing furniture with the wooden pallet is becoming popular today. The ideas about the DIY pallet furniture are a good way on how to make your own furniture in your homes. The wood used in pallets is often oak or southern yellow pine as they are both known for their strength and density which of course is ideal for stacking weight. 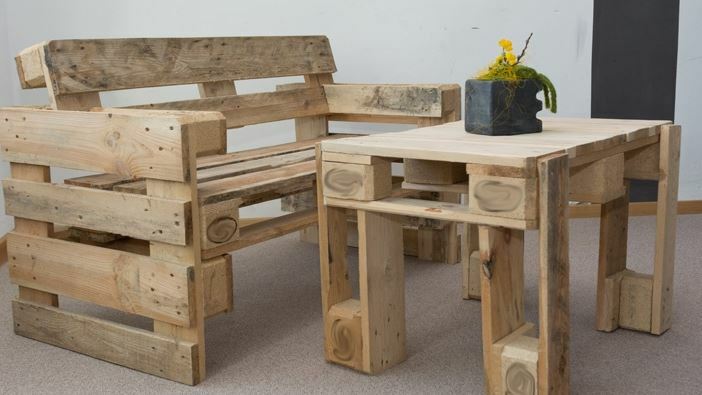 Some of the popular ideas for pallet furniture are the pallet chairs, pallet sofa, pallet bed, and the pallet tables. You can design, reshape and remodel the furniture in your homes or in your workshops. You can make all of these in your own with the pallet DIY ideas. These DIY ideas can be very useful in a lot of things. The wooden pallet is usually used in shopping but this is actually a material that can be very useful in order for you to make perfect and fit furniture in your homes. The wooden pallet became very popular due to the amazing and creative designs that you can make out of this. It can be disassembled into wooden planks and use it in any size of projects that you want. You can turn it into something you need for your children. It can also be turned into clever furniture and other things for your house. For decades, the wooden pallets are a mechanism for storing bigger items. These are also useful when shipping. Nevertheless, the wooden pallets are a useful resource in the designs and decors in your homes. You can create your original tables just by using four pieces of wood pallets. Pallet tables are also considered to be functional for indoors or outdoors use. With the rustic look and a simple look of this pallet table, its size can also be customized. You may as well change its design that depends on kind of designs you want. Make sure that you choose those wood pallets that are not chemically treated. You can wax it with oil or use polyurethane for its durability and for weather proofing purposes. You can also make an easy rolling table from the wood pallet. This can be used as a table in your outdoor activities. This can also be used when you want to relax outside your house with your friends or with your family. In addition to that, you can make this kind of table through the use of two wood pallets and one beam which are cut into four pieces, L – brackets, caster wheels, gray strain and screws. Through the use of these things, you can have a fabulous rolling table as your coffee table outside the house. This is also great to use while you eat your snacks with your friends. You can make a pallet swing chair using wood pallets. 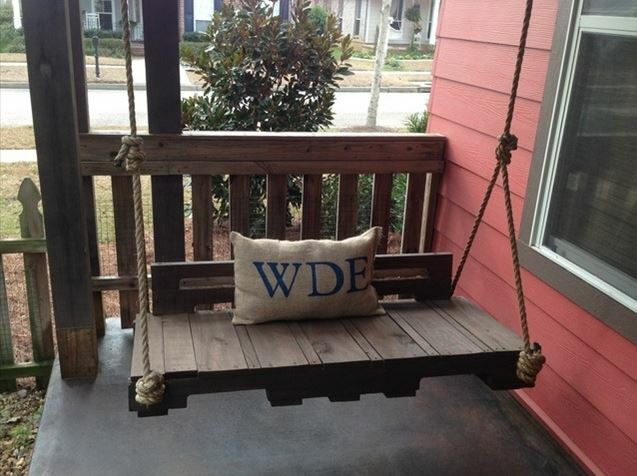 You will just craft the wooden pallet and make a quality swing chairs from a wood pallet. You can also make a unique and cozy swing chair in your home. This can also be made useful for you and for your family. This is especially true if you have kids. You can enjoy it during the summer sitting outside your homes with your family and your friends. Here is a great tutorial on how to make a pallet swing chair. Of course this is one of the more challenging pieces of furniture to make at least compared to floor-standing boxy types so if you are flush with cash then there are some fairly cheap yet quality patio swings here at The Patio Depot. One of the easiest, cheapest and most charming interior design ideas, shabby chic is definitely in style. What is more, by making use of old furniture and other items, this look helps us to move towards a more eco-friendly existence. Anyone can achieve a ‘shabby chic’ look in their home, it just takes a little bit of imagination, a magpie tendency and a lick of paint – of course Annie Sloan Chalk Paint rises perfectly to the occasion when you decide to give those old pieces of furniture a new lease of life. What is Shabby Chic Anyway? Shabby chic is the name given to a style of interior decoration that values age and wear-and-tear. If something does not look as though it has been loved by generations, it is made to look as though it were. This is a soft, opulent and yet down-to earth, cottagey style that can really make a house feel like a home. While it does incorporate genuinely old items, this style is more about imaginative re-creation than it is about genuine antiques. 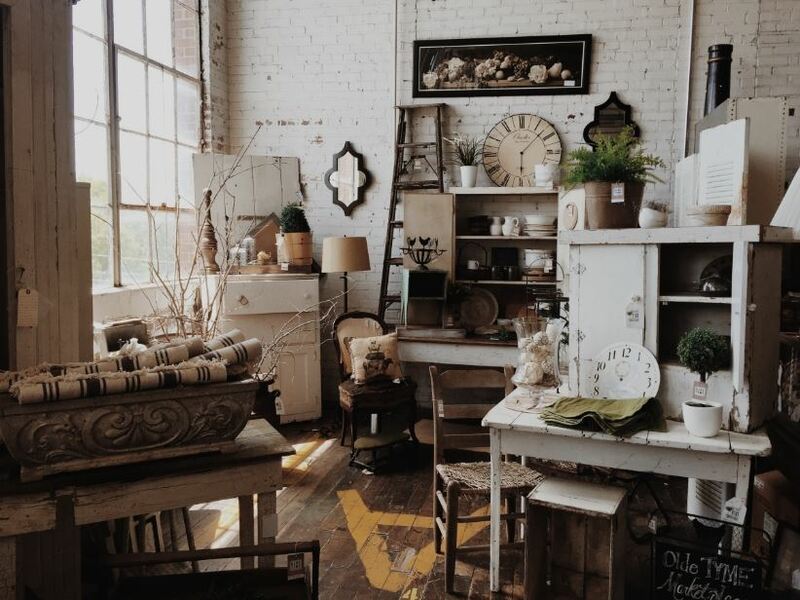 Shabby chic styling gives an interior that you will really love and that is really aesthetically pleasing but not one that you have to be precious about. So shabby chic can be great for messy, chaotic, loving homes with kids and/or pets. It is a styling that can work in real life, not just on the pages of a glossy magazine. If you have an old piece of wooden furniture that you have fallen out of love with then why not give it a new lease of life by simply painting it? Painting old pieces of furniture is the best way to rejuvenate them. In the shabby chic style, paintwork is often in off-white or pastel shades. Annie Sloan chalk paint in Original, Old White or Cream all make a great colour for wooden furniture. In the shabby chic look, paintwork is often distressed, rustic or worn. After painting, sanding off sections in areas that would naturally have suffered the most wear over time can allow you to achieve this effect. You can sand down to bare wood or, if you would rather, paint different layers of coloured chalk paint and distress so that you can see all the different layers of paint coming through. If you are artistic you may like to try your hand at painting delicate motifs on your shabby chic furniture. Roses and other floral emblems, hearts, doves, leaves and other vintage inspired designs are often painted onto items to personalise the look. Stencils can help to create a stunning effect if you are less than expert with a paint brush. In a shabby chic home there is usually an abundance of soft-furnishings in faded, vintage-style fabrics. Home made items fit into the style especially well. Crochet, appliqué, hand sewn natural fabrics – all these are often found in a home decorated in this way. Hand sewn cushions are placed on painted chairs, for example, and a unique tablecloth may be placed on a worn old table. 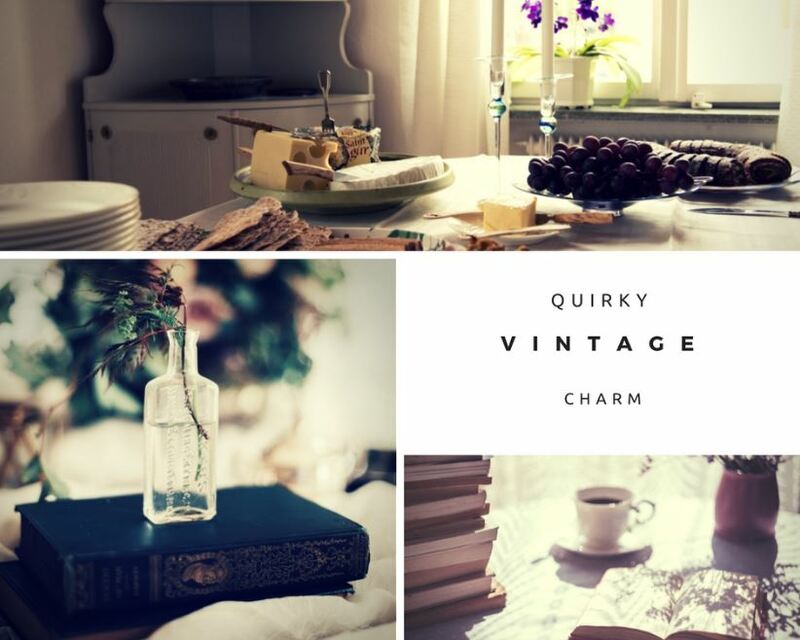 Putting the finishing touches on a shabby chic home is all about collecting items with a quirky vintage charm or homespun, hand-made appeal. These little touches are what make your shabby chic home really come alive. Put your own personality into your collection and it cannot fail to delight those who see it.